Traditional IRA contributions are notated on IRS Form 1040. One of the chief benefits of a traditional IRA is that you can deduct the contributions from your adjusted gross income when you file your taxes for the year. For that reason alone, many retirement savers choose to fund a traditional IRA. A Roth IRA, on the other hand, does not afford the same privilege. Roth accounts are funded with after-tax money, but earnings are withdrawn tax-free at retirement. Reducing your AGI requires reporting your contribution to the Internal Revenue Service. Make your IRA contribution for the year. You can contribute in stages or all at once. 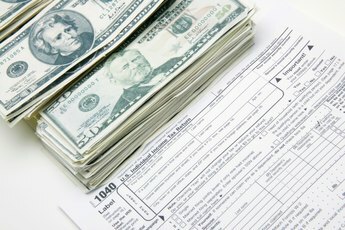 To maximize the tax deduction, put in the maximum, which, as of 2012, is $5,000 for those under 50 and or $6,000 for those age 50 or older. 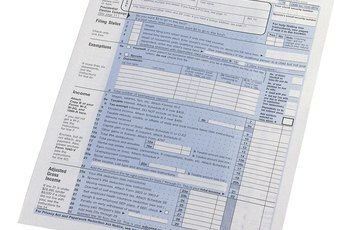 Fill out the first part of Form 1040 to the adjusted gross income section. 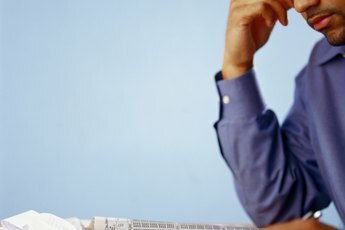 Report your income from wages, investments and other sources. 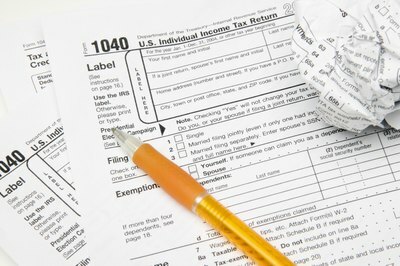 You can find the figures on W-2 and 1099 forms. You also need to include unreported income, such as tips. 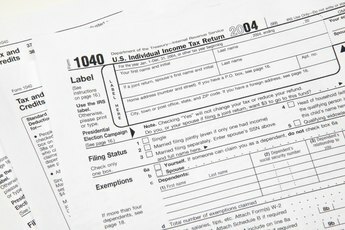 Enter your traditional IRA contribution amount in the "Adjusted Gross Income" section on page 1 of Form 1040. Continue with form calculations to arrive at your adjusted gross income.